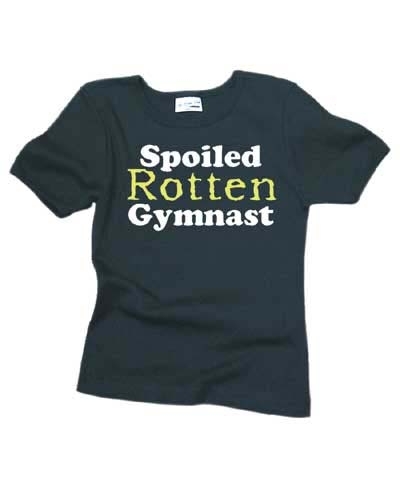 Spoiled Rotten Gymnast Football Jersey. 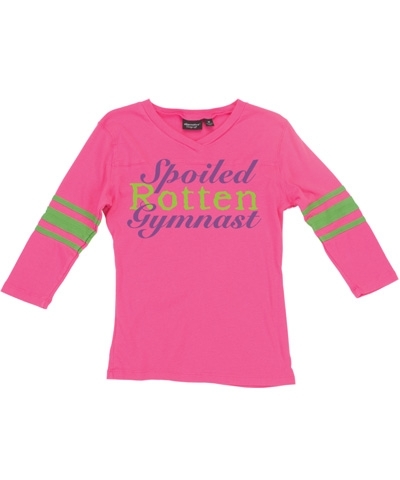 Hot Pink cross over V-neck football jersey with lime green stripes on 3/4 sleeve purple and lime green "Spoiled Rotten Gymnast" logo on front. This double-dye tee has front and back yoke, side seamed and a tapered waist. The fabric is 32s 100% combed ringspun cotton, 1x1 rib.